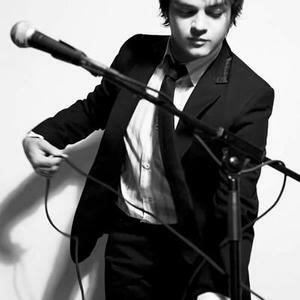 Jamie Cullum (born 20 August 1979) is an English jazz singer-songwriter, and multi-instrumentalist. Though he is a primarily a vocalist, he also accompanies himself on instruments including piano, guitar and drums. Cullum was born in Romford, East London. He was brought up in Hullavington, Wiltshire, and educated at the independent fee-paying Grittleton House School and the sixth form at Sheldon School. He then went on to study English Literature, and minored in Film Studies, at Reading University where he graduated with First Class Honours. Cullum released his first album, Jamie Cullum Trio?Heard it All, in 1999, of which 500 copies were made. Due to their rarity, original copies have sold for as much as ?600 on eBay. The success of Heard It All Before resulted in Cullum being invited to appear on Geoff Gascoyne's album Songs of the Summer. Just after Cullum made his first television appearance, on Parkinson in April 2003, he signed a ?1m contract for three albums with Universal, who beat Sony in a bidding war. Cullum's third album, Twentysomething, released in October 2003, went platinum and became the #1 selling studio album by a jazz artist in the United Kingdom. Cullum ended 2003 as the UK's biggest selling jazz artist of all time.